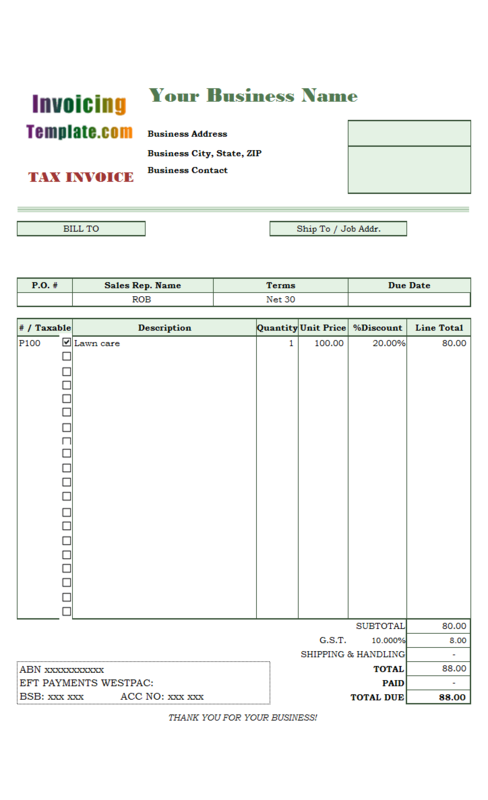 Download this free printable HVAC invoicing sample in Microsoft Excel format to bill your service of heating, ventilation and air conditioning. A free PDF form is also downloadable. 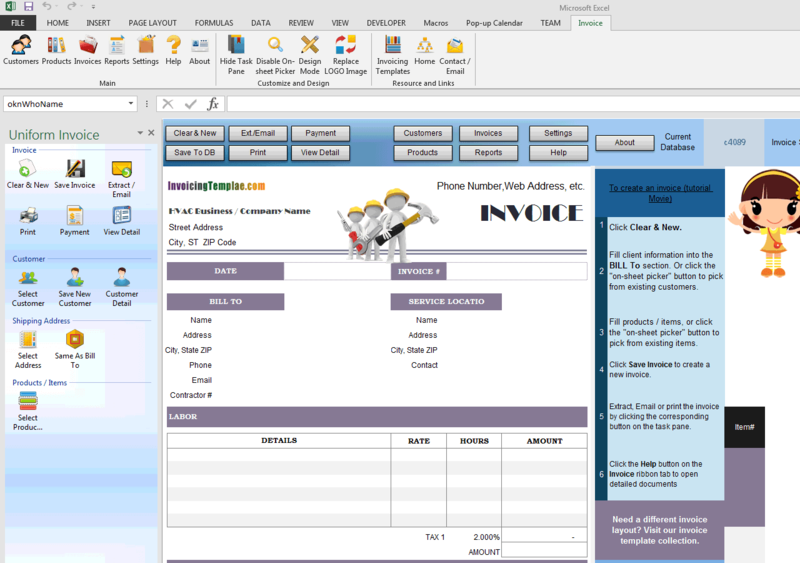 c4089 now includes the customized invoice template for the latest version of Invoice Manager for Excel. 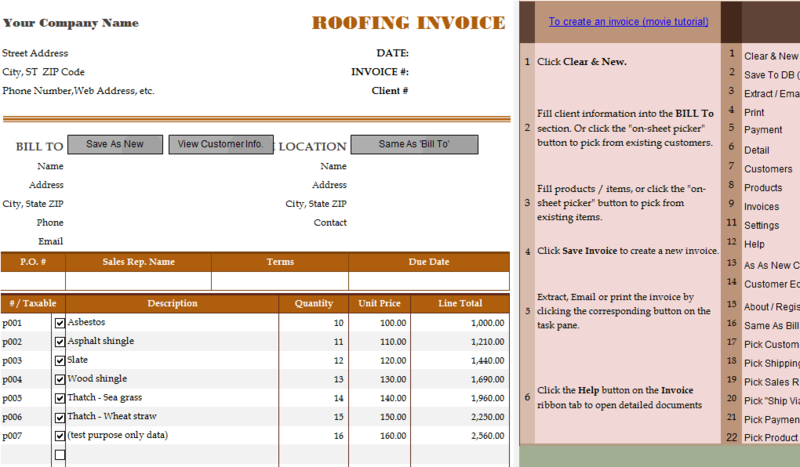 This is what you will see when you open bill-template-hvac-service.xlsx. 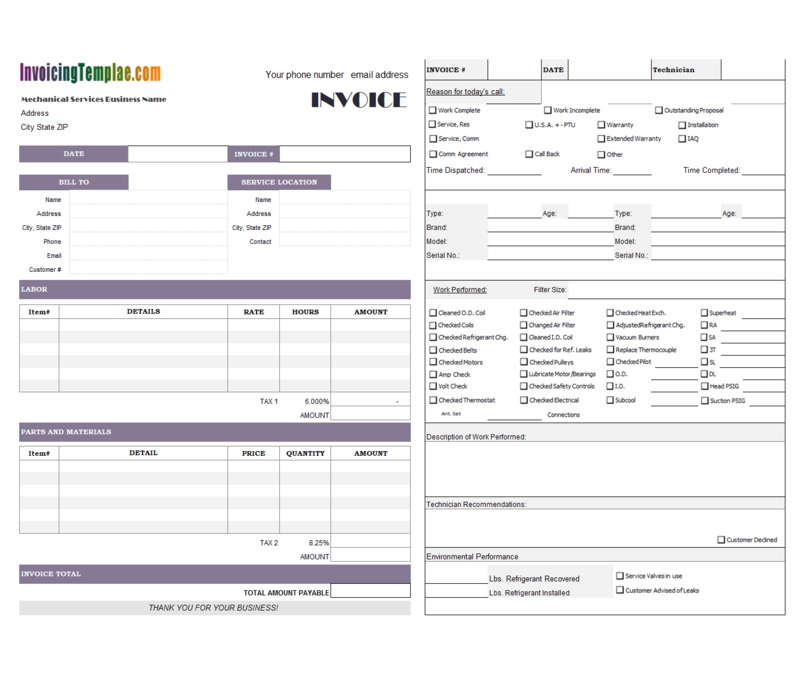 This HVAC form design is suitable for creating invoices and bills, service or work orders, or you can also use it as a proposal form. 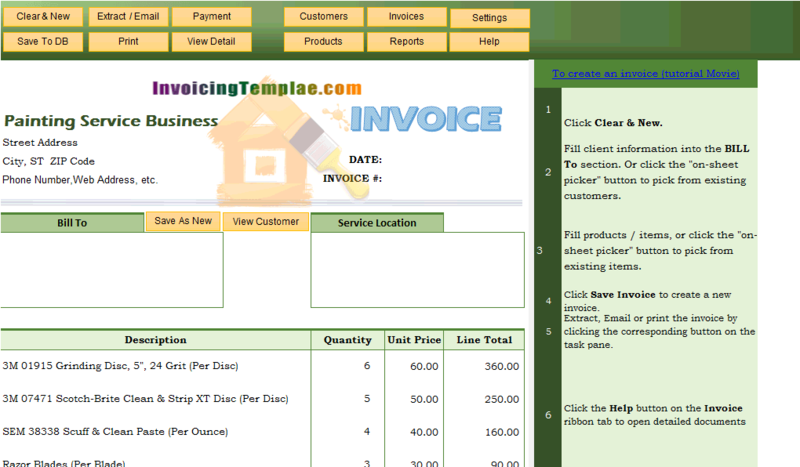 Our Excel invoicing templates are original, editable and have no password set for protection. 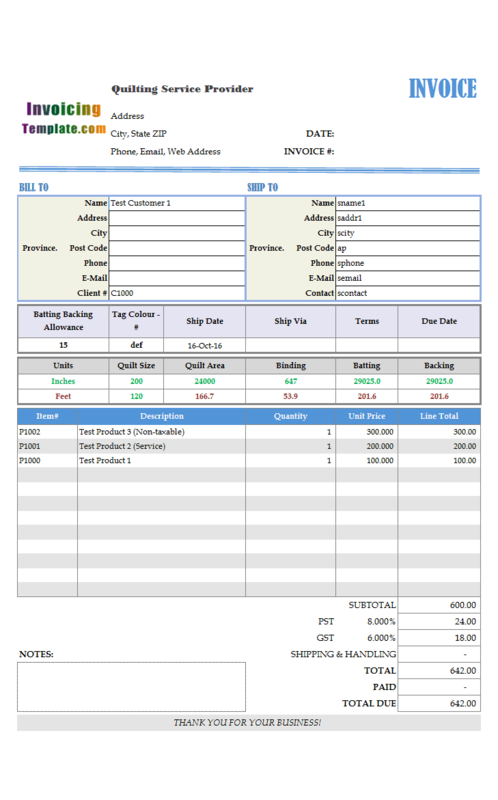 You can easily unprotect any template by clicking "Unprotect Sheet" command on Microsoft Excel "Review" ribbon tab, or switch to design mode by clicking the "Design Mode" button on the "Invoice" ribbon tab. 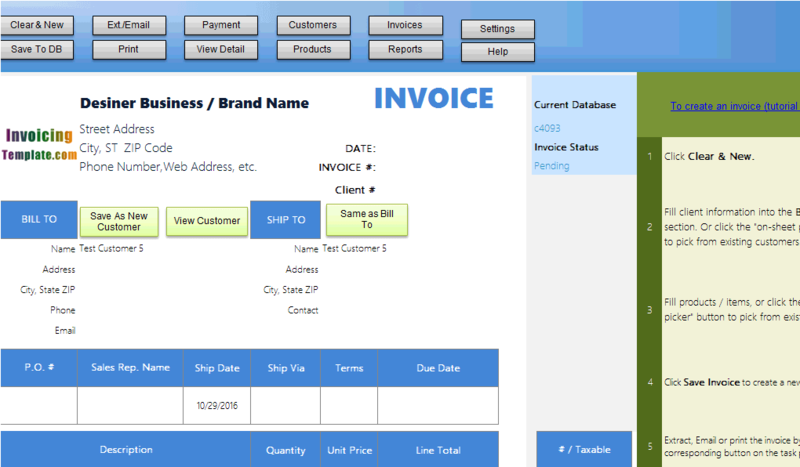 Note: An updated version, which includes a custom form for mechanical services business, is also available. 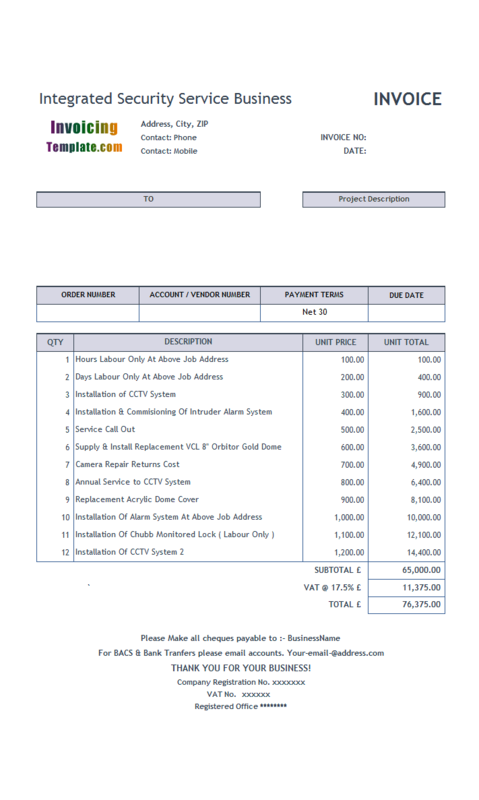 Visit it at HVAC Service Invoice Template. Besides the usual replaceable logo image placeholder located on the top-left corner of the form layout, it also introduces a repairman image located on the top-center, which should be a suitable widget for heating, ventilation and air conditioning services. 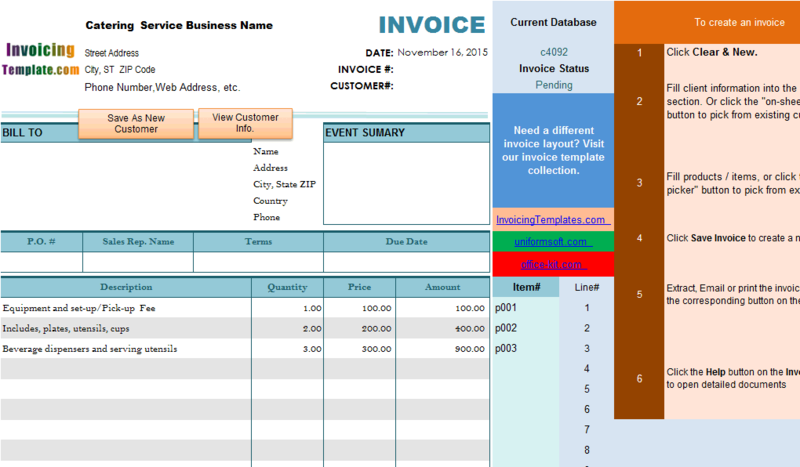 In fact you can add any images to the template by simply clicking the "Pictures" command on Excel "Insert" ribbon tab. 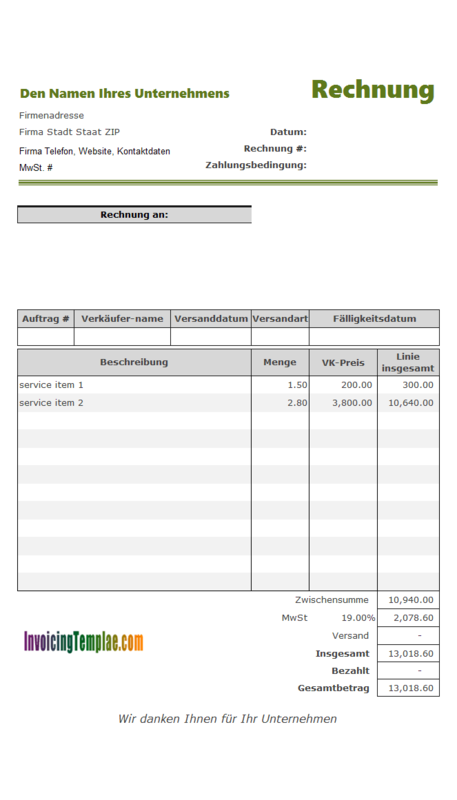 To have the newly added image appear on UIS-generated PDF invoices and bills, you should name the image with "oknWidget" prefix. 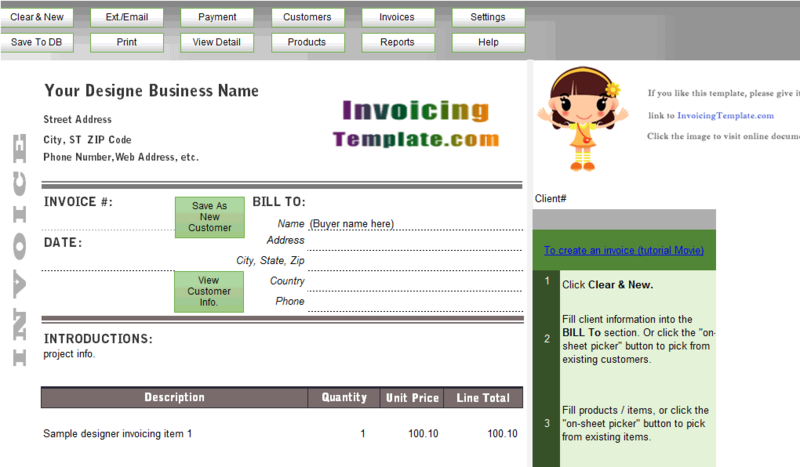 For example, in this template the repairman image is named "oknWidget_repairman". 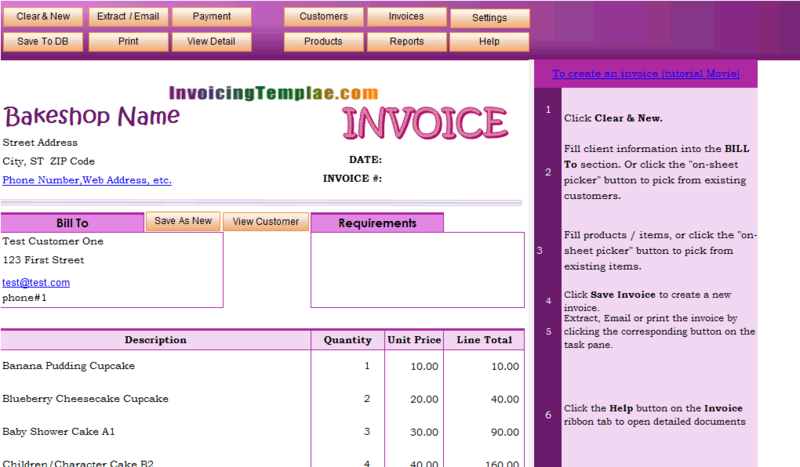 Visit Creating and Customizing Invoice Template for more information. 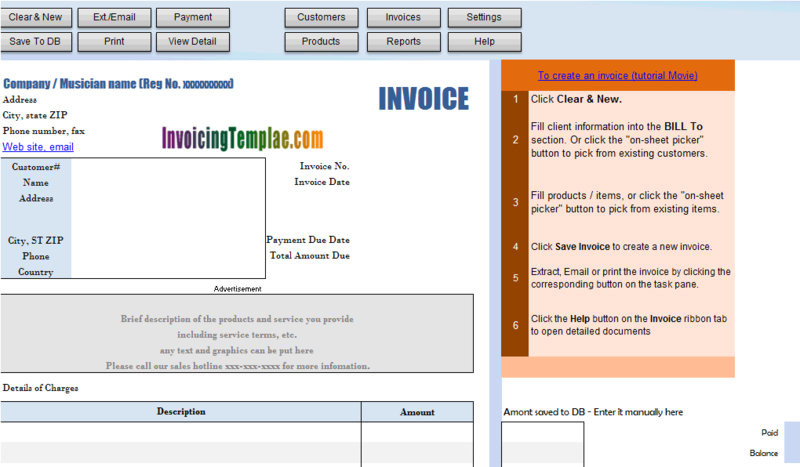 For more samples on templates and images visit Invoice Template Images. Both the labor and parts section are itemized. This allows you to enter items line by line, such as "Water Heater", "Central Heating / Cooling", "Heat Pump / Air Furnace Matched Systems", "Humidifiers" etc. 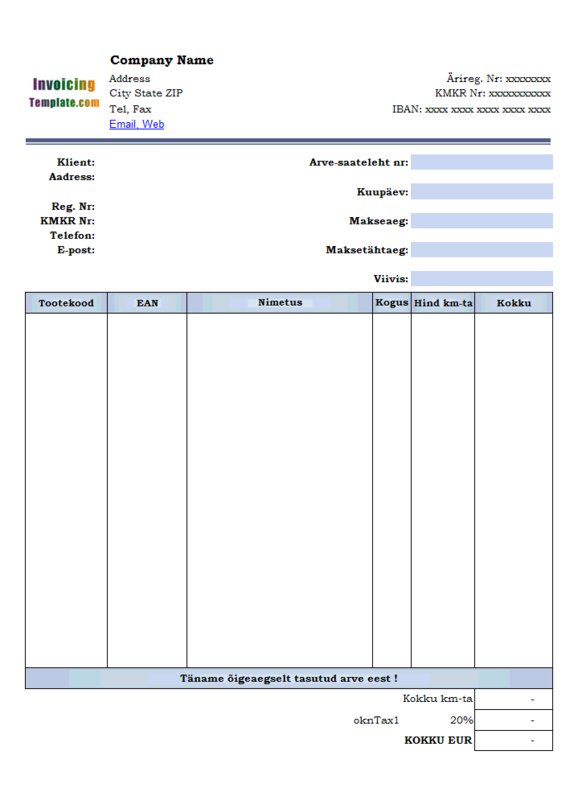 The item# column outside of the printable form is editable, but not printable. 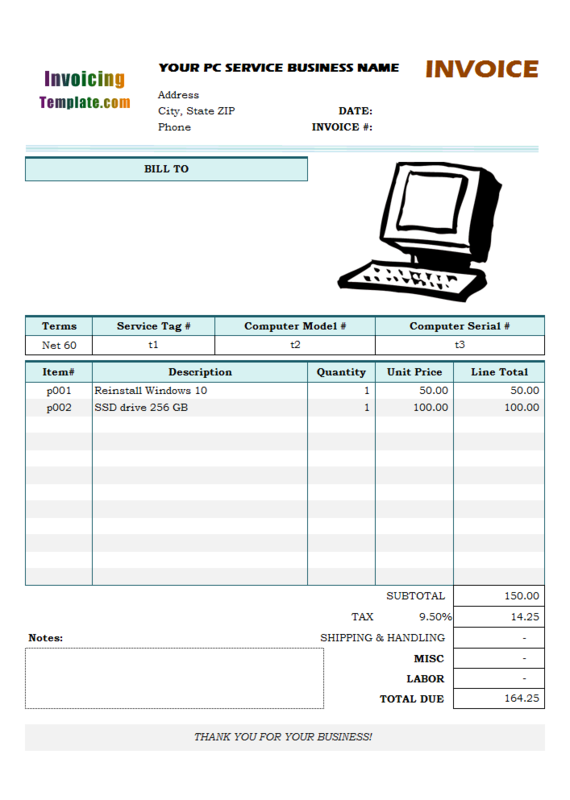 With Invoice Manager for Excel (namely Uniform Invoice Software) installed, you can enter shortcut code (item#) into the cells to retrieve the related description and unit price automatically. 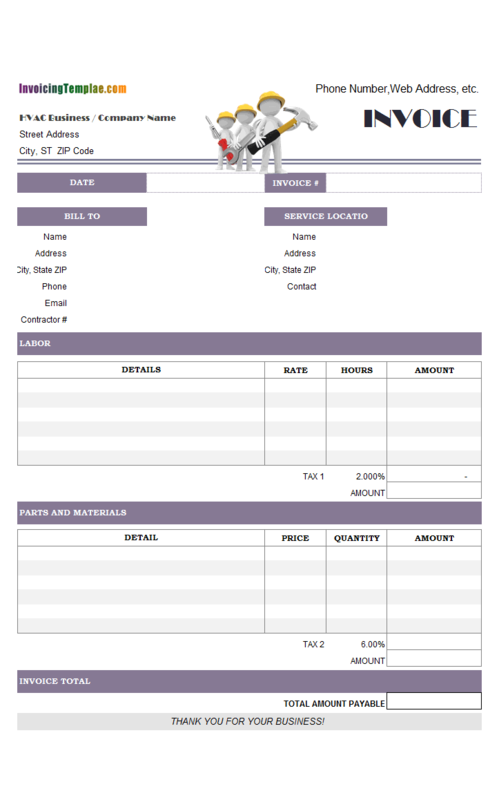 Like other form designs here on InvoicingTemplate.com, A C invoice template is free (offered to you at a price of 0.00USD). It works on Windows XP and all newer versions of Windows, and Excel 2007, 2010, 2013 or 2016.